Note to self: When you put a book on sale, or into a giveaway contest, it is generally a good idea to tell somebody. 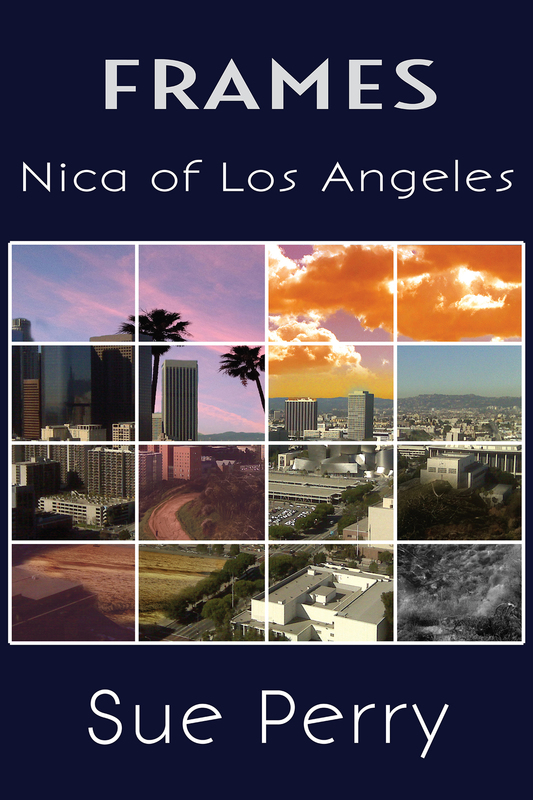 Psst – the e-version of the speculative fantasy detective novel Nica of Los Angeles is $0.99 through the holidays at Amazon and most other on-line stores. I’m thrilled to report that Nica has been getting some truly rave reader reviews. Also Psst – you can win a signed paper copy of Nica in this Goodreads giveaway. And so my no-love affair with book marketing continues. Something that has been a blast for me to do, though: I’ve made Spotify* playlists for Nica of Los Angeles and Scar Jewelry. In each playlist is a combination of music the characters listened to, and music that shaped the writing. 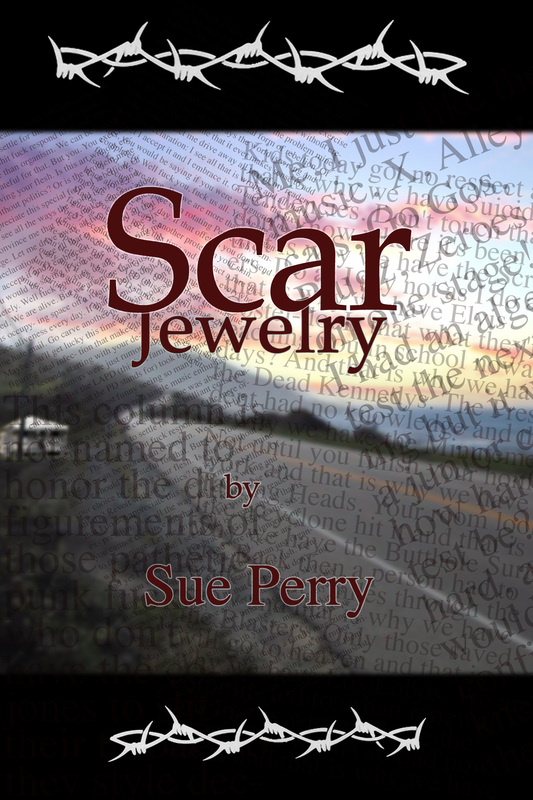 Follow scperryz to listen – and let me know if the music that writes the novel also enhances reading the novel! What do we really know about our parents or the way they shape us? For twins Deirdre and Langston, 20, the answer is: not enough. With their father long dead, and their mother now in a coma, they realize they don’t even know whom to notify. In fact, they understand almost nothing about their mother. They delve into her life, and as they do, they uncover secrets that revise the past and transform the future. Set in southern California in the present and in the early days of the punk scene. Louise used Photoshop, which is awesome, the gold standard, and so forth, but fails both my requirements, being neither simple nor cheap. Bored with the blog world? 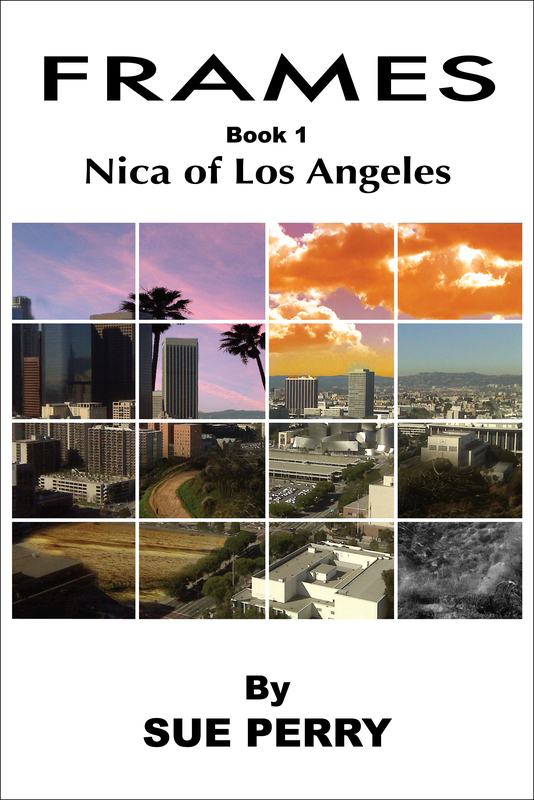 Then, stop reading this blog post and instead check out the first chapters of my latest novel, Nica of Los Angeles, It is the first in the FRAMES series, a speculative fantasy with detective elements, plenty of humor, and a strong female lead. I’m excited about this series and the reactions Nica is getting so far! One thing I can guarantee – you haven’t read anything quite like this before. Not ready to commit to free chapters? Then start with the descriptions below. Four Answers, Then Tag, They’re It! Folks, you are about to witness my first participation in a blog tour, a newfangled invention by which indie writers help spread the word that they exist. Lisa Voisin invited me to join. Lisa has followed an interesting life path and it’s no wonder, perhaps, that she now writes young adult paranormal romance. The way this blog tour works is that I answer four questions, then tell you about a few writers whose books I have really enjoyed. They will continue this tour by answering the same questions on their own blogs in two weeks. Q1) What am I working on? I’ve just started writing the second novel in the FRAMES series, the follow-on to Nica of Los Angeles, a speculative fantasy with detective and dystopian elements. Book 2, Chapter 1: my most recently completed sentence reads “As I returned to the street, the air pulsed in a series of quick blasts, punctuated with the deep screams of grown men.” Maybe we should have a contest and the winner will correctly guess what that sentence will read like by the time this new novel matures into a final draft. Q2) How does my work differ from others of its genre? Frankly, I think the author would be the last one to answer this question well. Q3) Why do I write what I do? I write what I feel compelled to write. The trick is to sustain that drive through the long haul of finishing a novel. More than once, over the years, I have fought the temptation to freshen my characters mid-book, by sending in a bus to run over the first bunch. Fortunately, I am having a great time writing Nica, and her second book looks to be more fun than the first. Q4) How does my writing process work? My subconscious has all the best ideas, but its contributions are scattershot and unpredictable. It’s my conscious writer that keeps plugging away, day after day, to draw the inspirations up to the surface and the page. Screen. Keyboard. Touchscreen. I write first drafts on my iPad, and love sitting on a summer patio in the dark, illuminated only by my device. However, for editing and formatting, I have to return to my laptop, with its full-service software. One benefit of being an indie writer is getting to e-meet other indie writers, all over the globe. Hock Tjoa has this to say about himself: “Hock is a retired teacher and banker and writes as part of his mission to make more widely known traditional Chinese values, but he makes digressions. He lives in northern California.” I read a play that Hock wrote, based on a Chinese folklore detective, and much enjoyed the dry wit and cleverness of the piece. Louise White has had nearly as many career paths as I’ve had (!) and has covered both ends of the service spectrum, as a waitress and then a cop. She lives in Scotland and writes a young adult series about a kickass teenage girl who fights demons in a world that is … almost… just like ours. I love how normal and teenage her heroine is, in the midst of all the fantasy. Tennesseean (?) Fran Veal also writes YA. She mingles teen drama with crime and just a touch of the paranormal. I am one chapter away from completing my first novel by her and it was painful to set it aside so that I could meet various deadlines like posting my blog tour entry on time. But hey, I’m a grown-up, right? I sense some sniggering, somewhere. Grown-up? Reading a bunch of Young Adult books? And how! It’s one of my favorite genres! Let me know if you want some more YA recommends!